Celebrating the life of Curtis Lee Garrett Jr.
Obituary for Curtis Lee Garrett Jr.
Curtis Lee Garrett, Jr. was born November 27, 1951 in Cincinnati, Ohio. He grew up with his parents, five sisters and four brothers. While in Cincinnati, he attended Garfield Elementary School, Heinold Junior High School and graduated from Hughes High School. During childhood Curtis joined and attended First Baptist Church of Cumminsville, Ohio. He would later join First New life Missionary Baptist Church in Phoenix, Arizona. After High School graduation Curtis joined the United States Air Force and served for fourteen years. During his military service he was afforded the opportunity to travel the world and study abroad. Curtis was stationed at Lakenheath, Air Force Base, in Suffolk, England for approximately nine years. He worked as an Air Force Medic and began work on his baccalaureate degree. His world travels awakened his love for art and knowledge. He loved to speak and share his knowledge about traveling around Europe and studying the great works of art and architecture. 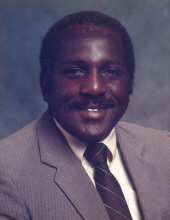 In 1982, Curtis was transferred to Luke Air Force Base in Arizona and after completing his tour of duty he began work as a Social Worker at Black Family and Child Services. In 1985, he met another social worker Phyllis Ann Crawford and they began their life together in matrimony. As a young person his favorite hobby was collecting comic books and experimenting with his microscope. During adulthood he collected piggy banks, obtaining piggy banks from all of the countries, cities and national parks that he visited. He had a great interest in gardening and became a Master Gardener of Maricopa County. Curtis passed away on April 7, 2019, following a critical and extended illness. He was preceded in death by his parents Curtis and Mabel Garrett, his brother Nelson Beckley, his oldest sisters, Mary Beckley, Dorothy Beckley, Carolyn Beckley and youngest sister Lola Garrett-Cave. He is survived by his wife of 30 years, Phyllis Crawford, his brothers Charles Beckley, Riley Beckley, Frank Garrett and his sister Kathy Garrett and countless nieces, nephews cousins, friends and neighbors. To send flowers or a remembrance gift to the family of Curtis Lee Garrett Jr., please visit our Tribute Store. Guaranteed delivery before Curtis's celebration of life begins. Guaranteed delivery before Curtis's committal service with military honors begins. "Email Address" would like to share the life celebration of Curtis Lee Garrett Jr.. Click on the "link" to go to share a favorite memory or leave a condolence message for the family.